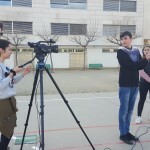 Som els alumnes de 4t d’ESO que fem el taller de cinema a l’Institut Castellet. 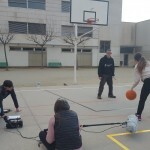 Estem molt emocionats per començar aquest projecte. 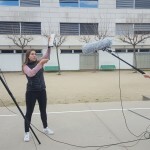 El grup el formem 11 alumnes, la Ivet i el Lluís, que son els professors i en Lluís Galter que és el nostre cineasta. 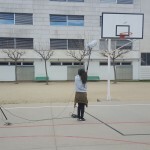 Esperem que durant aquest curs tinguem l’oportunitat de descobrir moltes coses del món del cinema i compartir-les amb tots vosaltres. 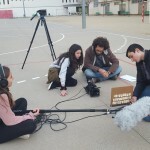 We are the students from Institut Castellet that are doing the cinema workshops. 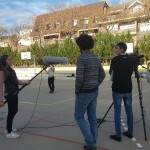 We are 15-16 years old and we are very excited to start this project. 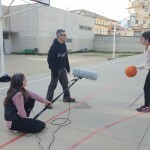 In the group, there are 11 students, the teachers Ivet and Lluís, and Lluís Galter who is our filmmaker. We hope that during this school year, we will have the chance to discover a lot of things of the world of cinema and share them with all of you.